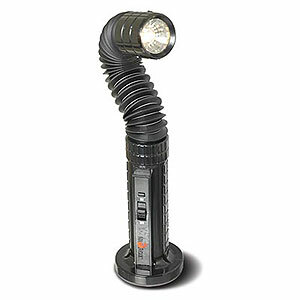 Aim a bright beam of light where you need it... the flexible neck of this flashlight twists to point in any direction. The wide base keeps it standing stable, and it's magnetic, too, so it can hold onto ferrous surfaces. Requires 2 C batteries, not included.